This Gold Nugget from California is amazing. The weight is 13.8 Grains (0.89 Gram), and it measures over 3/8" (10 mm) long. 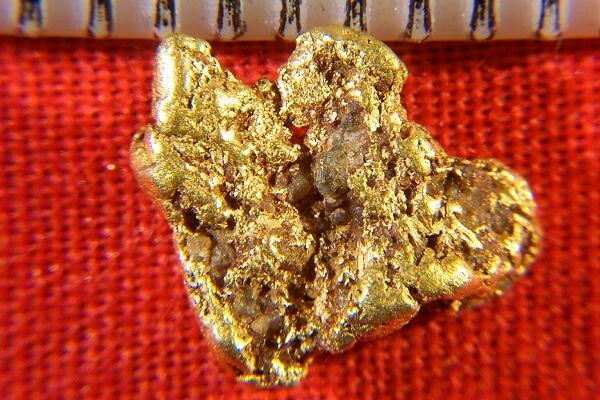 This California Gold Nugget is river worn into a great shape with lots of very unique expression to the surface. The color is amazing and it would make a very good investment for your collection. It is a jewelry grade nugget, the highest grade you can buy. 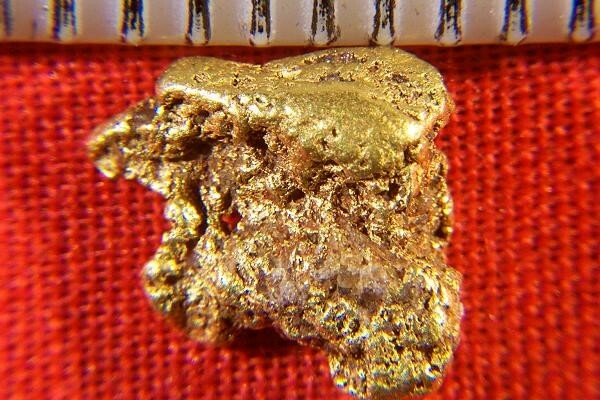 Our California Gold Nuggets are very popular with jewelers, collectors and investors. Like all our gold nuggets, it comes with a certificate of authenticity.